When it comes to finding new venues for additional revenue, trade shows can be just the right solution. However, even with all the obvious benefits of participating in trade shows, they can be demanding on business owners. 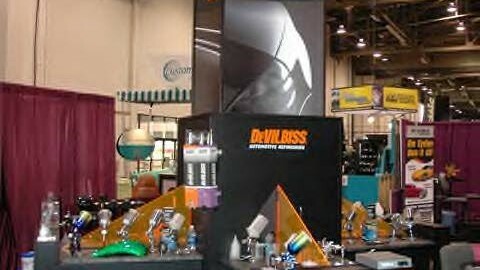 After all, every display must be assembled by the business, which can be time consuming and costly. To make your trade show experience better, be sure to remember aluminum tubing connectors as part of an overall display system. 1. Easier set up. Aluminum tubing connectors are part of a display system that is bolt-free. This means that assembly is fast and easy, which can minimize the time it takes to get set up and take things down. Better still, a bolt-free system requires fewer tools, which reduces the amount of supplies needed at the show. 2. Better display. These display systems are not just easy, but they are functional as well. With aluminum tubing connectors, shelves can be arranged in countless ways, allowing businesses to pick and choose their own display style. 3. Lasting use. Trade shows are rarely a one-time event. Because of this, most displays are taken down and put up on a regular basis. This can lead to steady wear and tear on the display system. 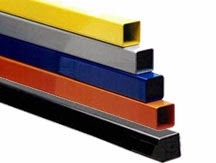 However, with aluminum tubing connectors, the system is durable enough to work for trade shows in the coming years. At EZTube, we provide boltless construction systems that are used to make carts, displays at trade shows, covers for conveyor belts and shelves of all sizes. Our business also sells numerous types of connectors, and we offer tubing that is made of aluminum and stainless steel. Before setting up a display, you can use a hacksaw to cut the tubes, and if you know the dimensions of the structure in advance, our experts can alter the tubes for you. In general, our customers need less than 30 minutes to assemble sets with tubes that have already been cut. Once the components have been modified, you may utilize a hammer in order to push the connectors into the tubes. Our business offers a small hammer that is relatively soft, and the tool has a sturdy handle that is made of oak. At EZTube, we sell a device that can rapidly eliminate sharp ridges. In addition to a handle that is made of plastic, the tool features a blade that consists of steel. In most cases, tearing down the display takes less than 15 minutes. You do not need to use any tools in order to disassemble the systems, and you can tear down some of our boltless construction systems simply by pushing several buttons. Business success is about more than the product. No matter how good the product may be, if it is not presented well, then it will never be a success. While marketing is a multifaceted part of any business plan, it all starts with a good display. For the best displays without any hassles, try an aluminum framing system. An aluminum framing system is a great choice because of its inherent flexibility. These systems are designed for simplicity. Although the frame itself is static, the shelves and other pieces can be arranged in any number of ways. This makes it easy to customize the display for any product. This flexibility is not a one time perk. Instead, these systems do not even use bolts, which means it is easy to move the shelves time and again. Since assembly is so hassle free, the display can be changed countless times. With this versatility, an aluminum framing system will evolve well, making this type of frame a great investment for any smart business person. Since these systems are made from aluminum, they are very sturdy. Aluminum is strong enough to hold products, but it is also not too heavy to move around. More than that, the metal will hold up well over time. With a little polish, an aluminum framing system will be a marketing centerpiece for years. Have you decided it’s finally time to carve out aspace in your home for an office? Setting up an office in your home is easierand more affordable than you might have thought. A desk and some storage spaceare all you need to get started. Desks can be had cheaply or crafted from found materials. Plastic storage binsand metal file cabinets can be found for a song at used furniture outlets,warehouses, flea markets and estate sales. Shelving extends your storage spaceand lets you display a few decorative items. If you want to go the DIY route, consider building your own custom shelvingwith a boltless construction system. Anaffordable, heavy-duty boltless frame is easy to build and allows for customconfiguration. Aluminum, steel or powder-coated tubes and other pieces snapinto place, requiring no building experience. The bonus for those just starting out is that a boltless construction systemallows to add sections or reconfigure your entirely as your business grows. Ifyou end up renting an office space or expanding your existing office, you caneasily move your shelves. Entrepreneurs need flexible, affordable solutions, especially early on. A boltless construction system gives you theadaptability you need without the cheap, unprofessional look of makeshiftoffice furniture.